Decasa hotel has all the features of a modern city hotel and with its unique location you are guaranteed to achieve maximum comfort. 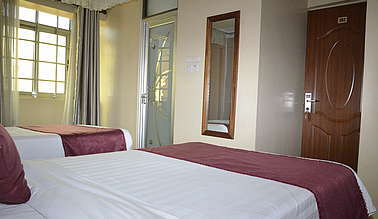 The hotel offers a perfect answer for those who want a clean, comfortable and a quiet stay. 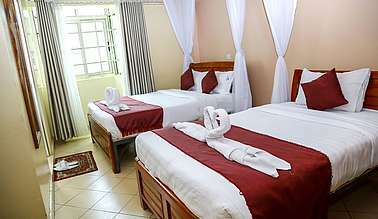 Decasa Hotel is a convenient choice for visitors to Kenya, Nairobi. 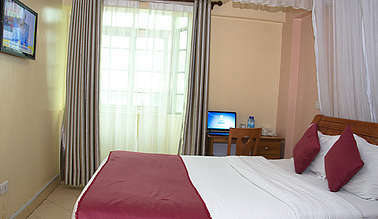 The hotel is located 30 minutes away from the Jomo Kenyatta International Airport and 10 minutes away from the world-famous Nairobi National Park, The Giraffe Centre and within walking distance of attractions such as the National Museum, the Railway Museum, Kenyatta International Convention Centre (KICC) and shopping malls, banks and ATM. 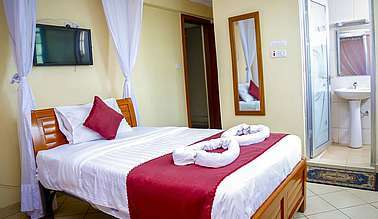 The rooms are spacious, elegant and tastefully furnished with modern amenities to offer you a quiet, clean and comfortable stay. 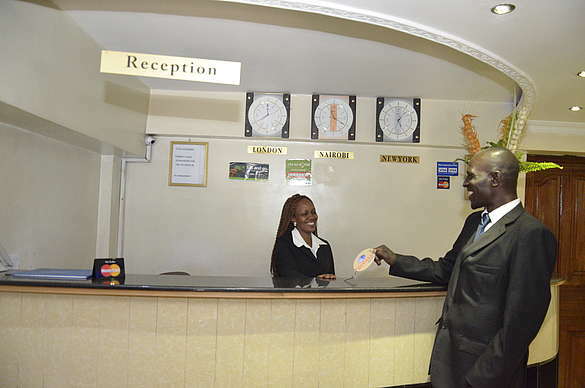 Guests seeking a secure, pocket friendly hotel for an overnight stay or long stay while in Nairobi city will find Decasa Hotel the ideal choice. 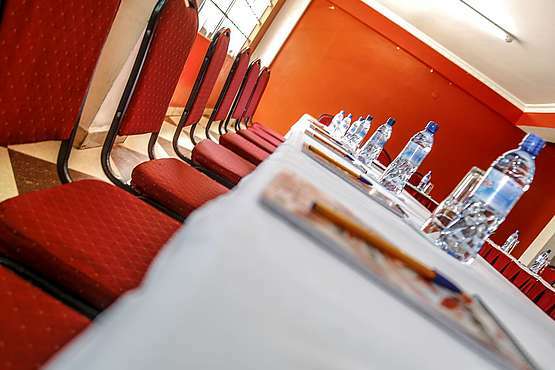 Our conference facilities offer a one stop location for your private /boardroom meetings at your disposal. 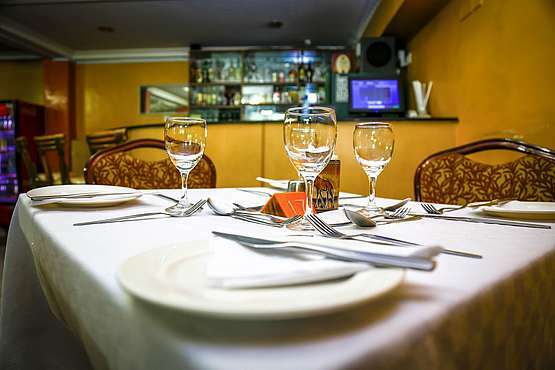 At Decasa, our friendly and attentive staff will offer you true Kenyan hospitality that will make you feel at home away from home. Sign up to our email newsletter to receive the latest offers and news from DECASA Hotel. © 2019 DECASA Hotel. All rights reserved.